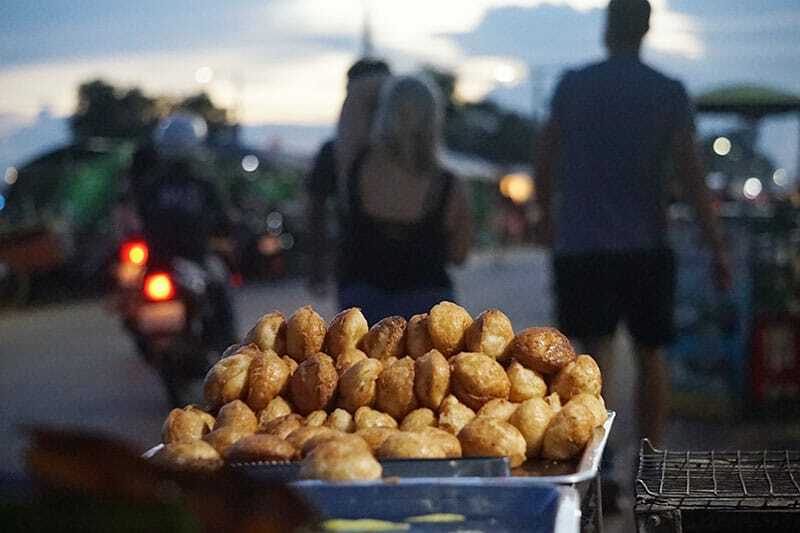 There are plenty of opportunities for adventures with street food – make sure yours is memorable for the right reasons! 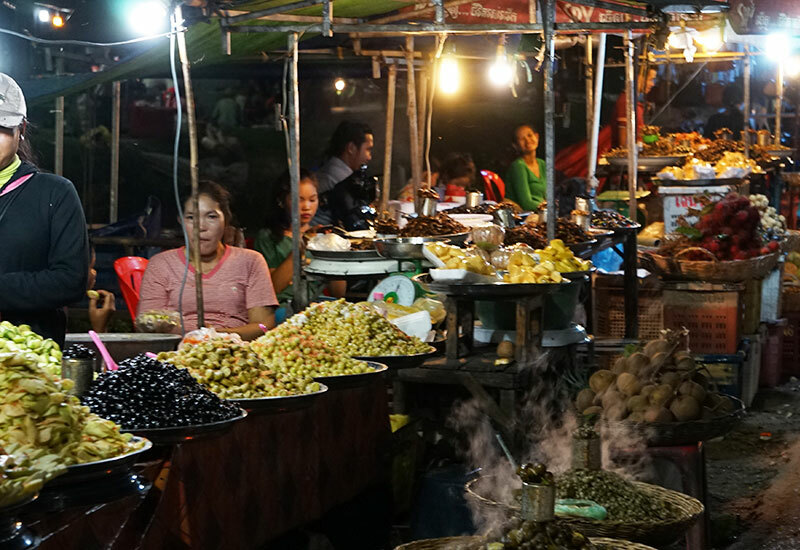 On this tour, your guide shows you the highlights of Siem Reap’s night markets. 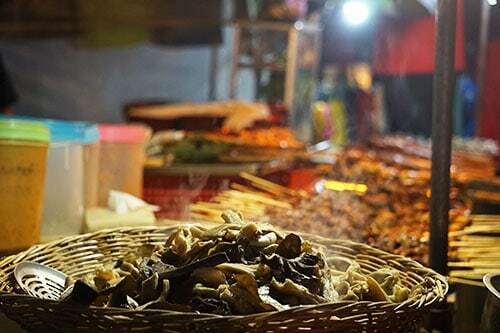 Taste authentic Cambodian BBQ and spring rolls and, if you feel adventurous, BBQ snails and other insect dishes. 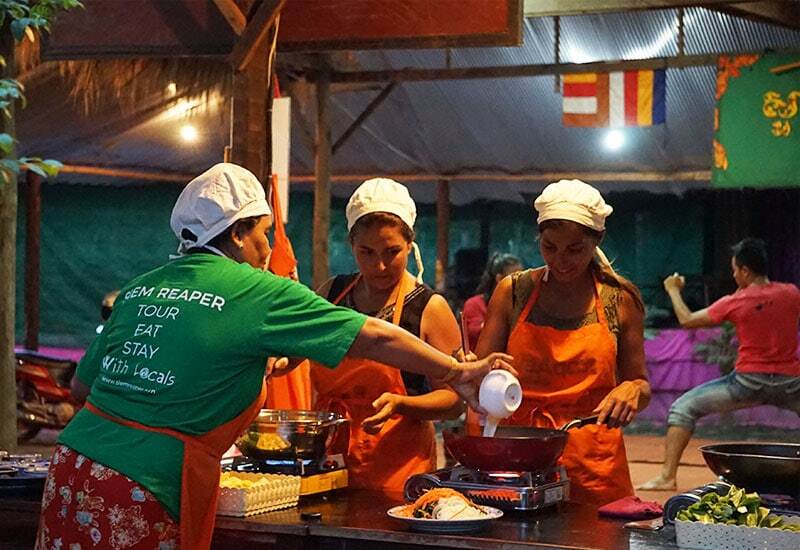 Finish up with a nightcap at the Sombai Siem Reap Liqueur House, where you’ll see how Cambodian rice whiskey is made and infused. 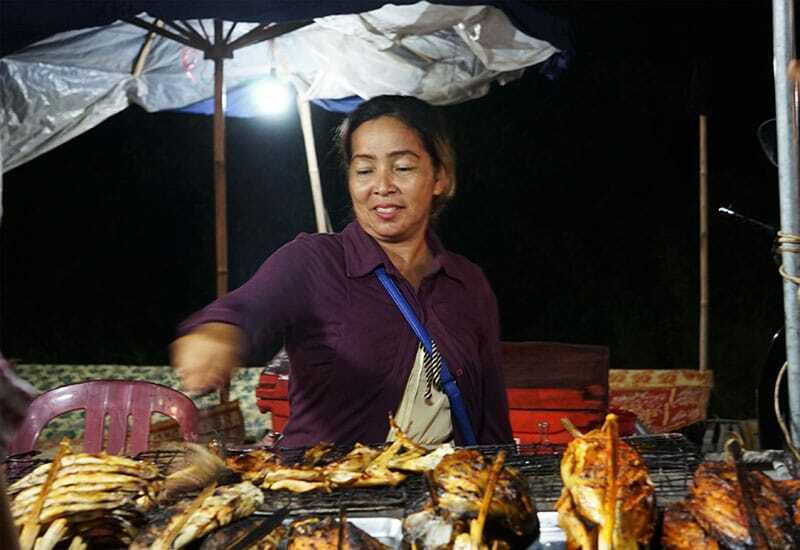 This is a fantastic way to experience local Siem Reap food at night. 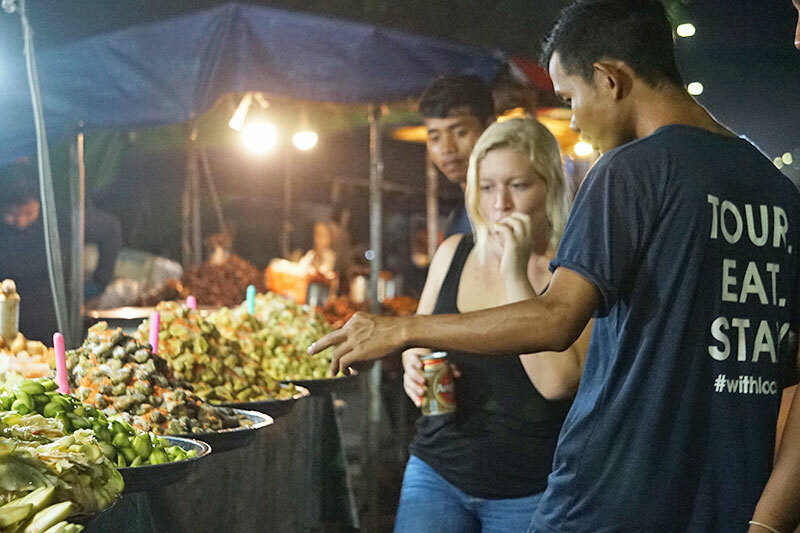 Join this unique Food Tour in Siem Reap to have the opportunity of biting into some tasty regional dishes. 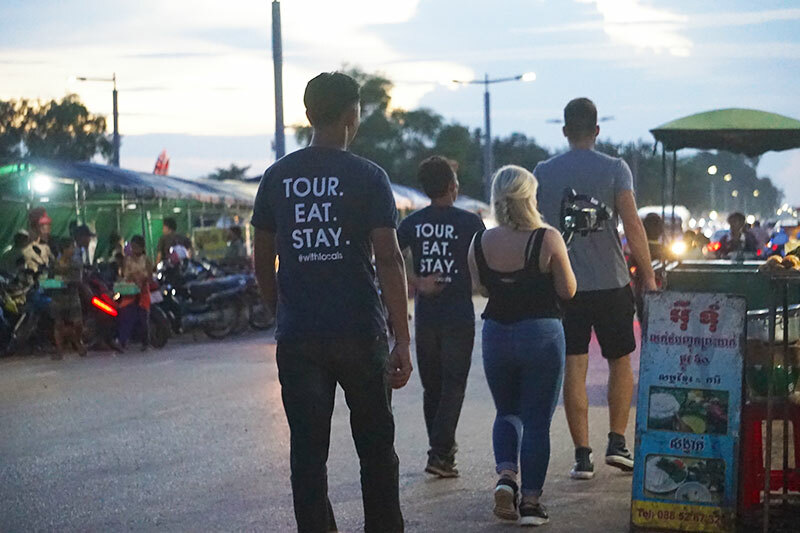 This tour will open your senses to local street food and give you a true experience of savoury delicious Cambodian food. 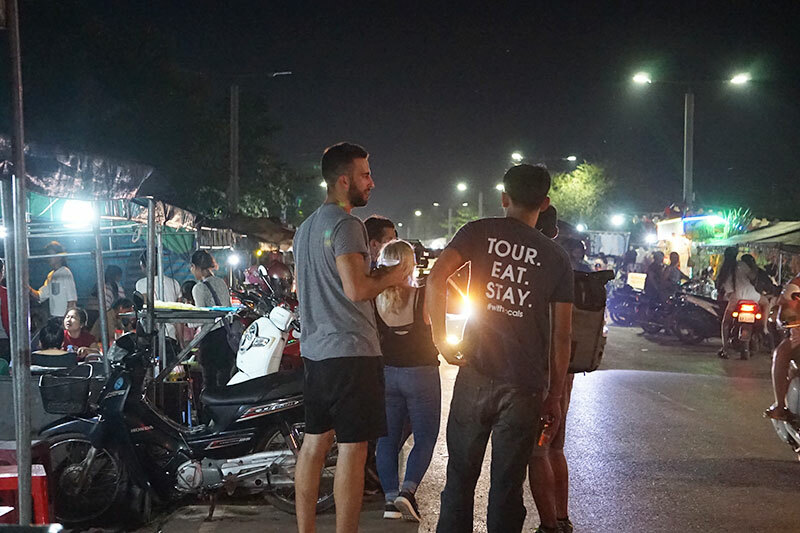 Our evening food tour begins with a pickup by Remork from your hotel. 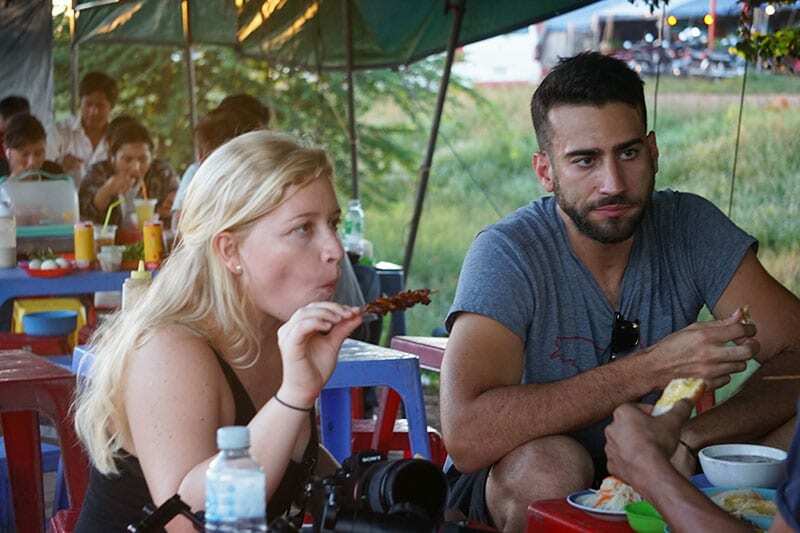 The first stop is the local restaurant where you will taste fruits, spring rolls, tofu and BBQ snails. 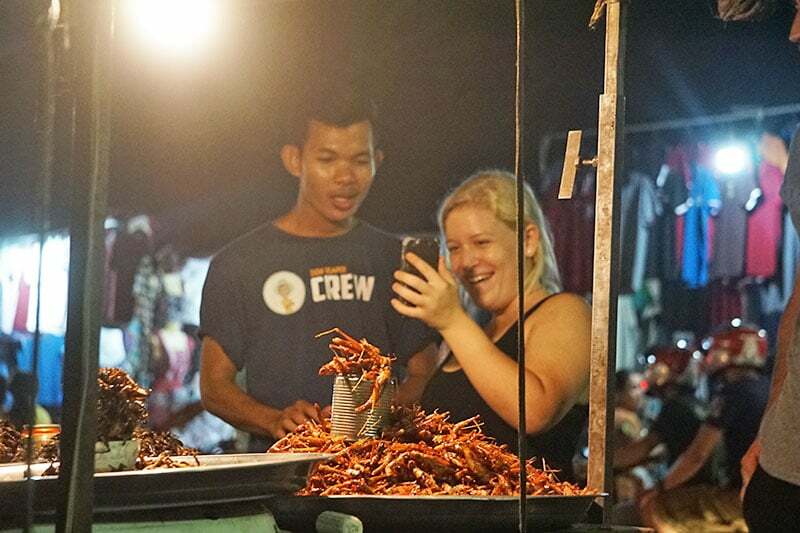 We will then go to the night market, where you can try some bugs, fantastic barbecued chicken, whilst enjoying a cold beverage sitting on a mattress alongside the street market. 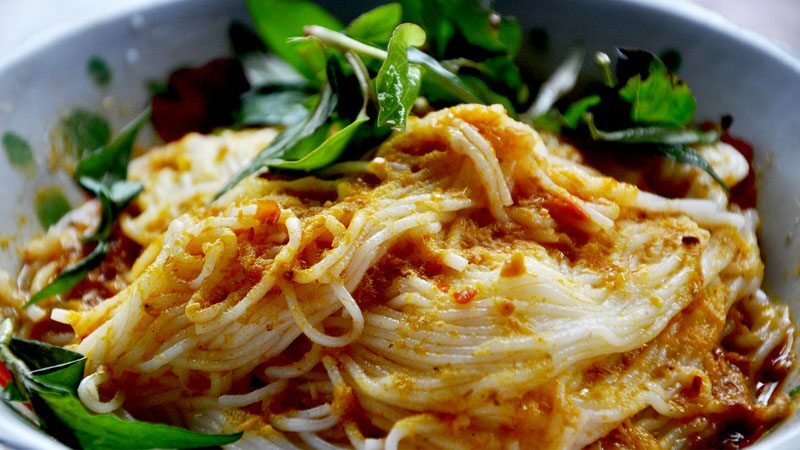 A note here, your guide is very careful to make sure everything you eat is clean and well-cooked. 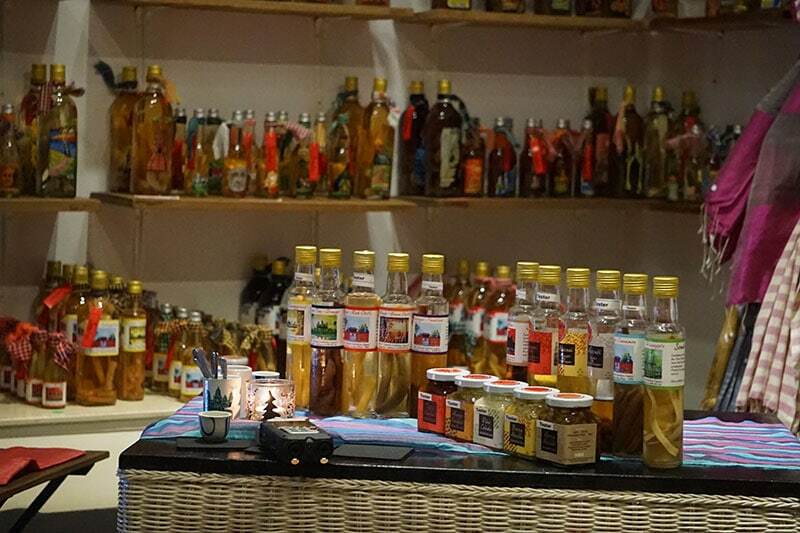 At the end of the tour, we will visit the Sombai Siem Reap Liqueur House where you will learn how Cambodia liqueur is made and visit the infusion room. Here you are invited to try rice whisky in various flavours. If you have any specific food requirements (vegetarian, vegan, food allergies), please inform in advance so that we can provide a notice to our tour guide. 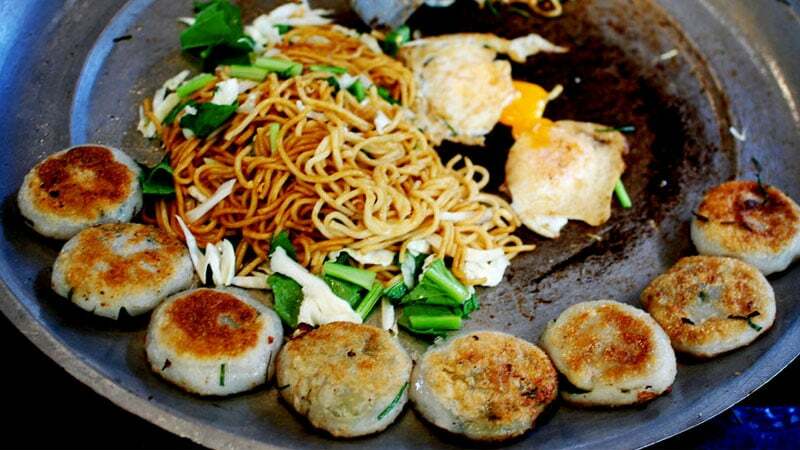 If you are a food lover, we can be your culinary guide and provide you with the opportunity to savour local food. Camera, sunscreen, sunglasses, insect repellent, small backpack, etc. Joo and our TukTuk driver were very pleasant, it felt more like they were old friends then tour guides! They picked us up on time, they both had a lot of energy. Joo our food guide was very happy to answer any questions we had. 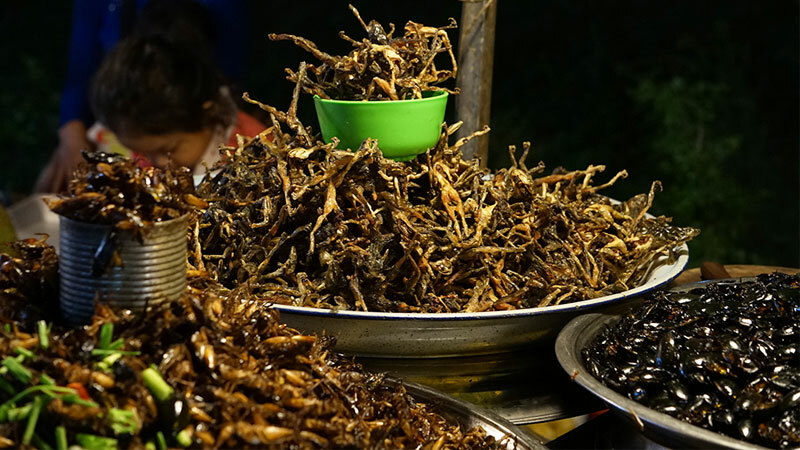 I felt like not only did I get to try a wide range of foods (I did try the crickets!! lol) and drink but I also learned a lot about the culture!!! He also made some great recommendations for the next day, that we would not have found on our own!! Over all it was a perfect evening, eating , drinking and laughing!! Orkun!! I had an amazing day with Joo my tour guide. He took me to very nice places and we ate local foods in most of them. 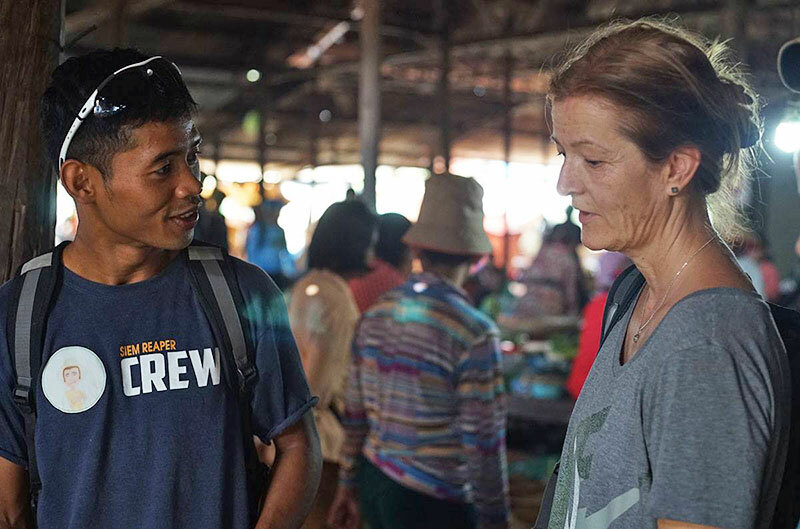 He was real kind and we talked a lot about life in Cambodia. He has very good english so that helped a lot! I absolutely recommend this tour. Bo gave us a great night tasting Siem reaps specialities. Went to 60 street with all the local Cambodians catching up with their families on New Year’s Day. Awesome atmosphere. He held high hygiene standards also. He was informative and knew that tourists were on holiday and don’t need to be on a strict time schedule which is much appreciated. He encouraged us to try everything however us kiwis couldn’t do the Balou. 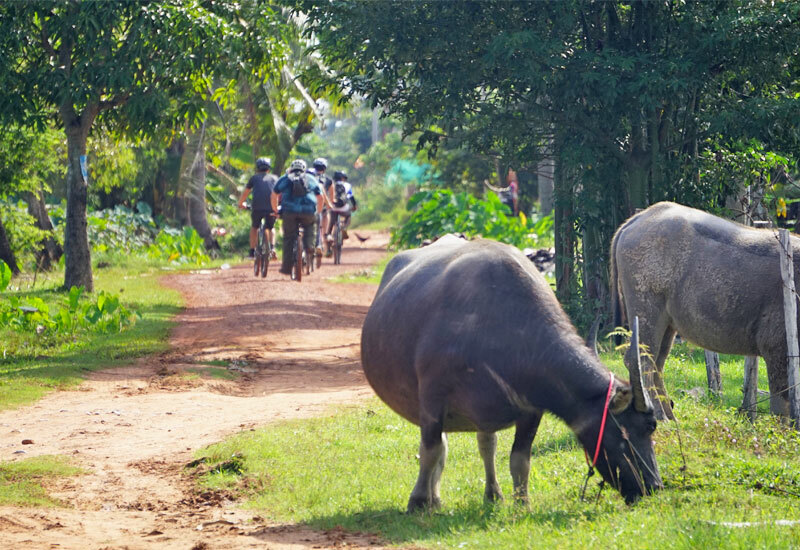 Our son needed to go to the toilet and even though he was old enough to go by himself Bo accompanied him for safety reasons, (even though I found Siem Reap quite safe). Bo said take photos and payment is by a smile, which we found to be exactly true. 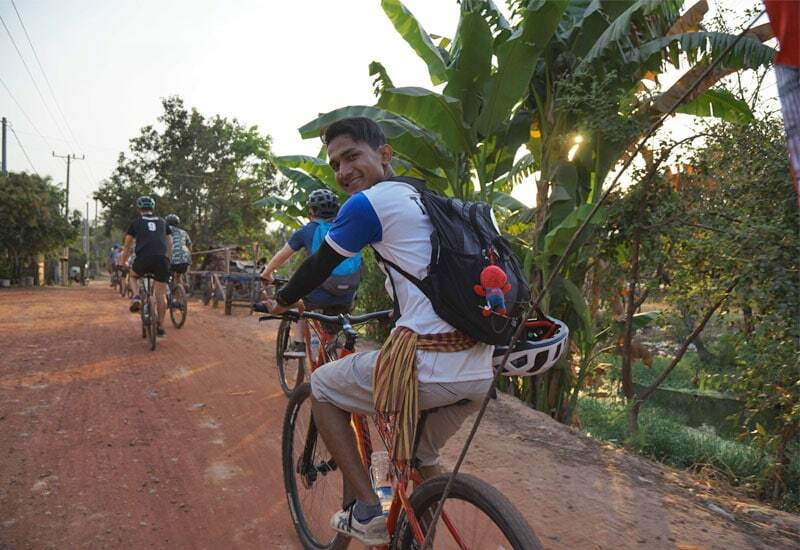 Our only regret is that we didn’t do the cycle ride with him in the country side.